As many in PR and politics have observed, the president has a talent for exploiting cultural flashpoints. The NFL’s battered reputation has been partly blamed on his criticism of players who chose to take a knee during the national anthem at the start of many games. But Mr. Trump may have met his PR match. 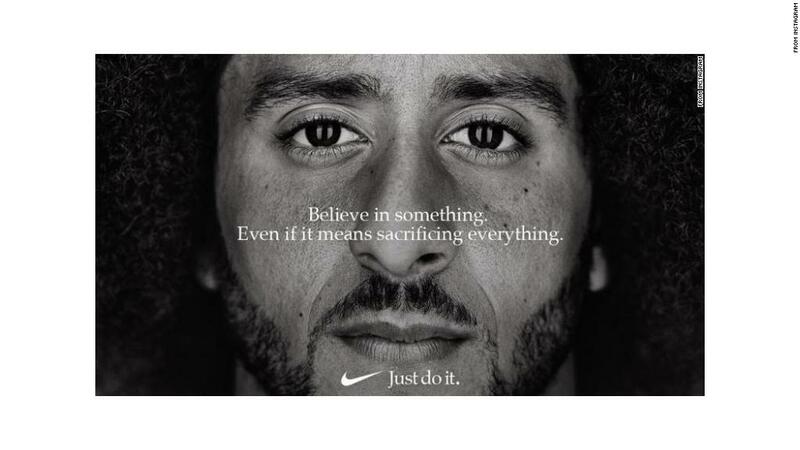 Nike, with its own unerring instinct for the big play, has unveiled a 30th anniversary “Just Do It” campaign around former NFL-er and activist Colin Kaepernick. The first ads broke on Labor Day, and they are striking. They’re also risky – mostly for Kaepernick. As expected, the campaign’s unveiling was met with backlash from some Nike wearers who are outraged by the deal. Twitter was filled with images of cut-up socks and even flaming sneakers. More importantly, the company’s stock dropped more than 10 points in early trading Monday. But if recent history is a guide, Nike’s brand reputation will withstand any boycotts. It has had plenty of time to prepare for repercussions, and it knows its core audience. As part of the campaign, the brand will donate to Kaepernick’s “Know Your Rights” camp, sealing its commitment to his social justice mission. As NPD’s Matt Powell tweeted, “Old angry white guys are not a core demographic for Nike.” Ouch. Yet there are more subtle hazards here. Nike is vulnerable to charges that it’s cynically exploiting a cultural divide. After all, this is a $32 billion brand that spent 20 years cleaning up its reputation for sweatshop labor and unfair business practices. Its hands aren’t exactly clean. The real risk may be for Kaepernick’s image. Though his fans will surely cheer his gainful employment after he was essentially boycotted by the League, Nike is an imperfect brand partner precisely because it’s so powerful. It remains fully in bed with the NFL, and its labor practices continue to dog the company. A new wave of protests against it started up again last year. And one fascinating aspect of the story is that Nike has been paying Kaepernick all along, waiting for the most opportune moment to break the news about the campaign. That fact adds more surprise – and media value – to the narrative. It also means Kaepernick’s supporters were ignorant of the deal, which may leave them feeling duped.